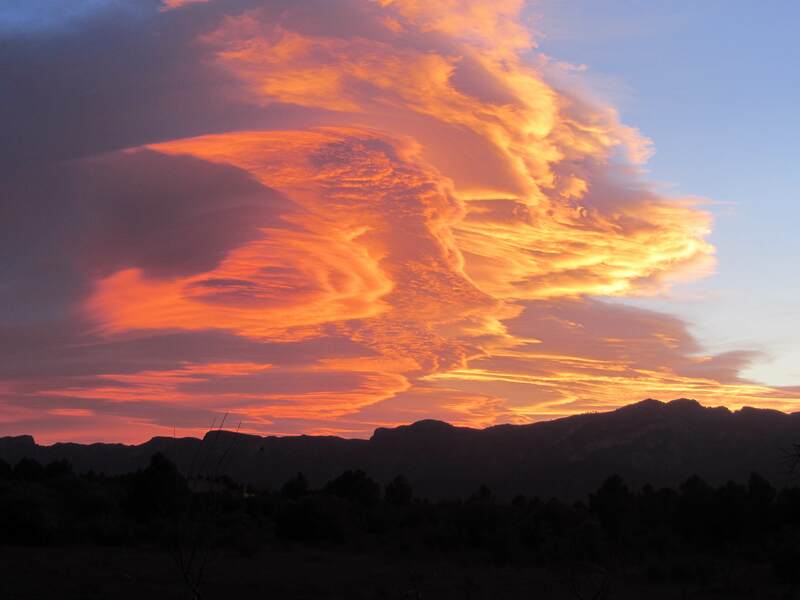 I was writing the above poem when this image arrived – of the Cardo Mountains in Tarragona – the sky at sunset seen on the 5th of January 2012 by my friends, Agnieszka and Harold, from their terrace. It conveys something of that mystery between times. This poem flows seemlessly, naturally, beautifully.